The Fostoria Learning Center recently welcomed 50+ Seniors from both Fostoria Junior Senior High School and Lakota High School for a Career Exploration Day. Students were able to find out more about the trainings they can take at the FLC and about careers with local employers. A HUGE THANK YOU to all of our College Partners and local employers who participated in this event. Partners: ABC of Northern Ohio, Marion Technical College, Owens Community College, Rhodes State College & Terra State Community College. Employers: Treves, NOX US, NSI Crankshaft, Mennel Milling, Charter Steel, Whitta Construction, Findlay Plumbing & Heating, All Star Heating, Clouse Construction, and Promedica. And thank you to Reineke Family Dealerships for loaning us the Ford Ranger (carpet is made here in Fostoria by Treves), and for supplying t-shirts for all of the students. 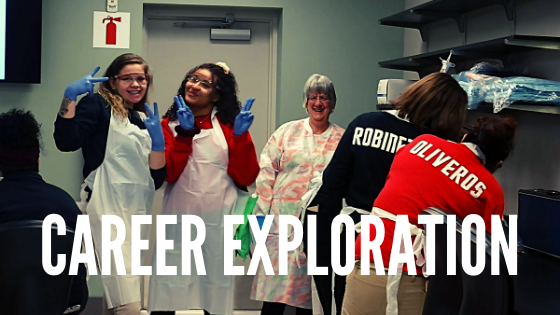 CLICK HERE to see photos of the 2019 Career Exploration Day event.